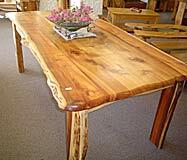 Rustic World of Wood - Rustic World of Wood was established 20 years ago in the town of Knysna, the centre of South Africa’s world-famous Garden Route. 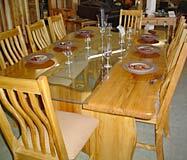 Knysna is situated on the shores of a scenic estuary, and is surrounded by large tracts of indigenous forests. 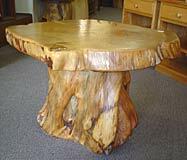 The town has a proud history of woodcraft and quality furniture manufacture, and the forests still maintain an aura of beauty and the mystery of bygone days. 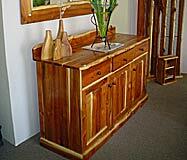 Rustic’s retail showroom is situated on the busy Knysna Main Street (N2), and the manufacturing side of the business is located in the Knysna industrial area. 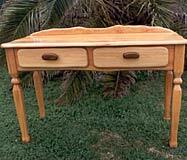 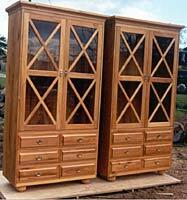 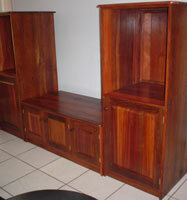 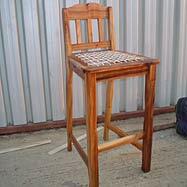 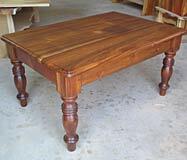 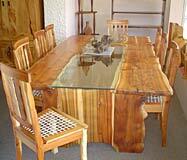 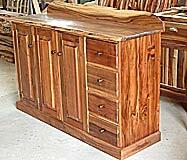 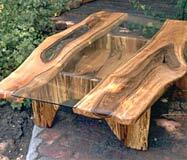 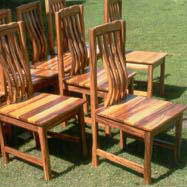 The business specialises in the manufacture and retail of custom made hardwood furniture. 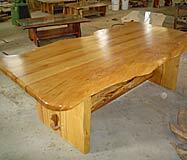 The range includes coffee tables, TV cabinets, bars, counter tops, dining room suites, bedroom suites, chairs and many other custom-made items. 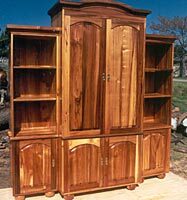 The wood used is mainly indigenous to the Knysna area and includes Yellowwood, Blackwood, Stinkwood, Hard Pear, White Pear, and other. 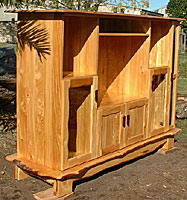 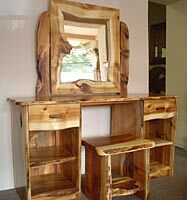 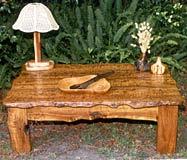 The furniture is unique as the natural waney edge of the tree is retained as far as possible during the manufacturing process. 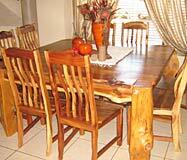 Quality workmanship ensures a classy, well-finished product whilst the distinctive "Rustic" look is retained. 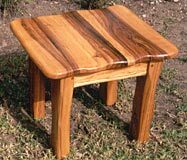 Rustic also manufactures accessories and gifts, which include bread and cheese boards, magazine holders, CD stands, bread bins, bowls, butter knives and many others.